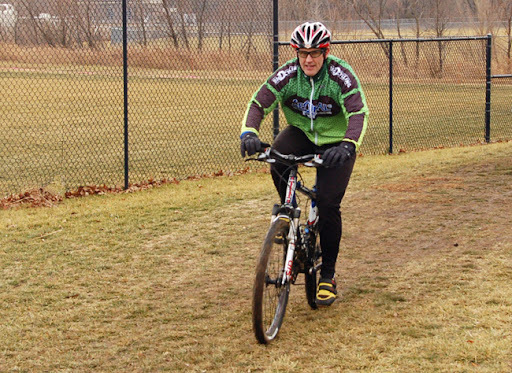 Big D cyclist John Taton raced “Cross Off the Old Year,” which was held in Stump Park in Shawnee, KS on December 31. 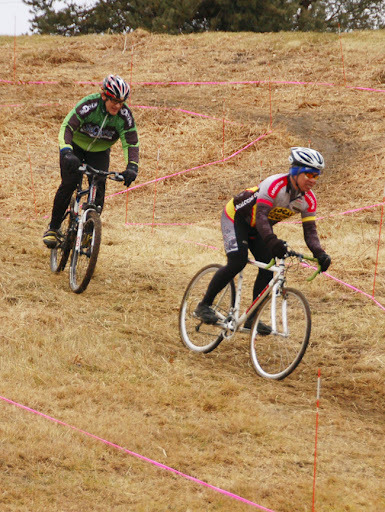 Taton is one of Big D’s strongest racers, but this was one of his first forays into the world of cyclocross. Despite riding on his heavy mountain bike, he represented Big D well with a 13th place finish in Cat. 4! His showing was excellent for a first-timer in the discipline. The course was difficult, with several barricades, which required dismounting, and a monster hill. 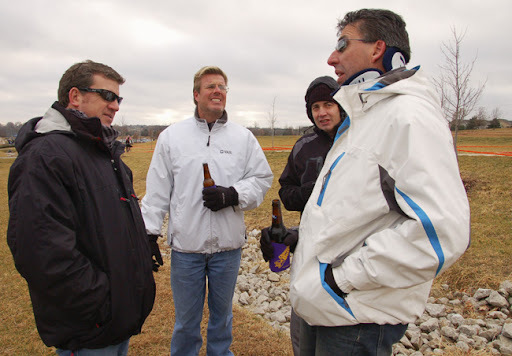 Several Big D guys showed up to cheer him on and to meet other local riders in our back yard. Antoine Winkelmolen made his first appearance after his Christmas Eve skiing injury. We are all wishing him a speedy recovery. Taton is staying in shape and keeping fresh for for the upcoming season on the road. 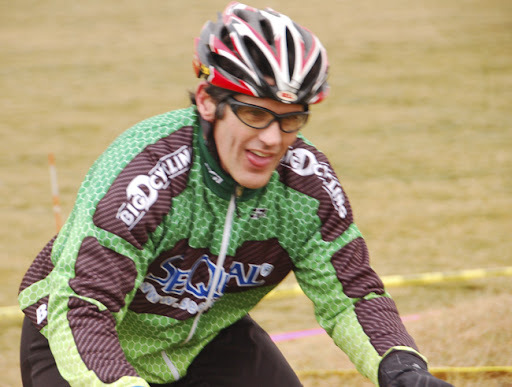 In cyclocross he joins Wichita’s Randy Martin, who is tearing it up for Big D. These two riders are doing a great job for the team year-round. City of Shawnee. Thanks to Dan Turner for the story content and images. See more here.